Southern Pacific Railroad depot at Rosamond, 1912. 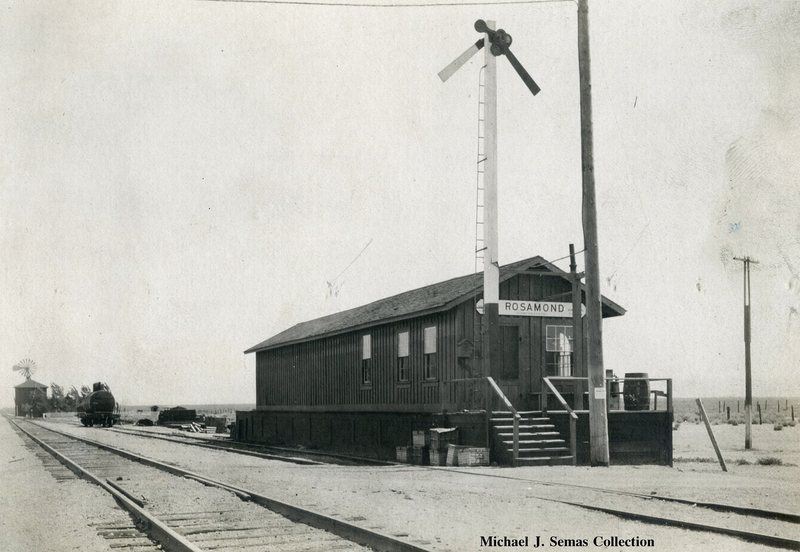 Collector Michael J. Semas writes (2015): "Image taken in 1912 by the California State Railroad Commission. This station was established in 1876 and was named after the given name of an SP official's daughter. The depot was a cattle shipping and mining center." MJ1201: 19200 dpi jpeg from smaller jpeg.